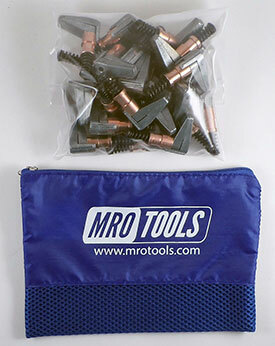 The MRO TOOLS KSG2S25 Cleco Side-Grip Clamps 25 Piece Kit w/ Carry Bag, 1/2 x 1 is one of thousands of quality tooling products available from MRO Tools. Please browse Cleco Side-Grip Clamps for tools similar to the MRO TOOLS KSG2S25 Cleco Side-Grip Clamps 25 Piece Kit w/ Carry Bag, 1/2 x 1. MRO TOOLS KSG2S25 Cleco Side-Grip Clamps 25 Piece Kit w/ Carry Bag, 1/2 x 1 description summary: MRO TOOLS Set of 25 1/2 x 1 Cleco Side-Grip Clamps (KSG). The plier-operated KSG series is designed to clamp material together where no holes are available. 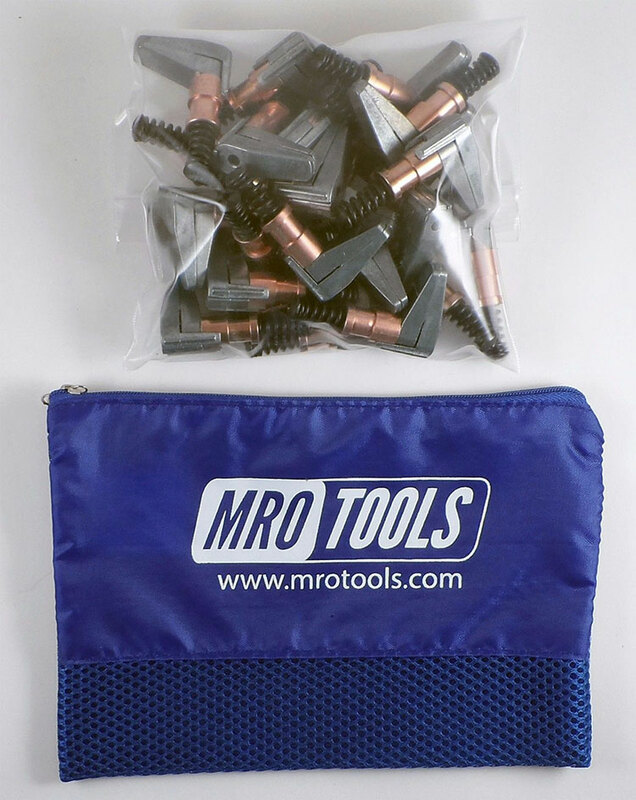 Jaw Depth: 1'' Material Thickness: 0-1/2'' Color: Copper Quantity discounts may be available for the MRO TOOLS KSG2S25 Cleco Side-Grip Clamps 25 Piece Kit w/ Carry Bag, 1/2 x 1. Please contact MRO Tools for details.